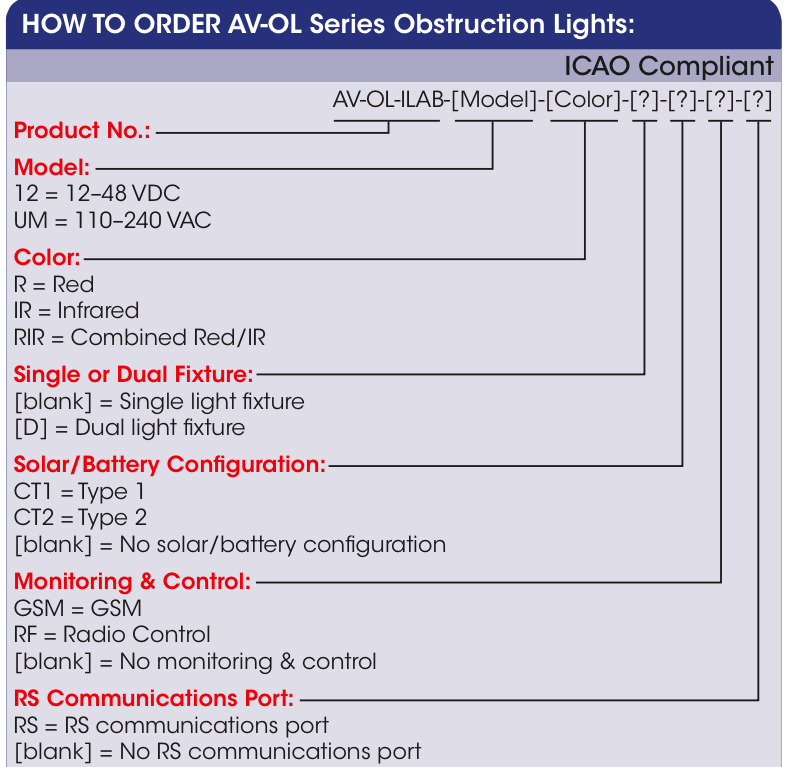 Building Obstruction Lighting, ICAO Dual Fixture Obstruction Light. 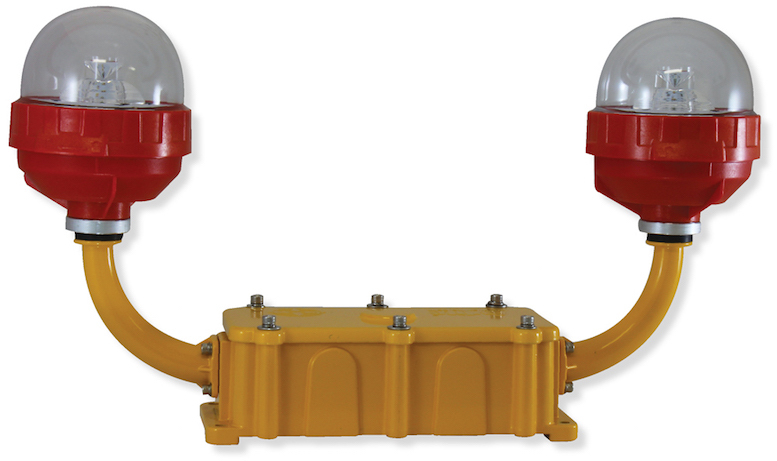 Dual light fixture is a steady burning, low intensity LED obstruction light designed to comply with ICAO and FAA L-810 requirements.The model can be used for marking obstacles up to 45 meters (150 feet) above ground which pose a danger to aircraft at night, such as telecommunication towers, wind turbines, buildings and other tall structures. LED obstruction lights offer an ultra bright, energy efficient and cost effective lighting solution.The light fixture is available in two configurations,universal DC (12-48VDC) or universal AC (110-240VAC 50/60Hz). 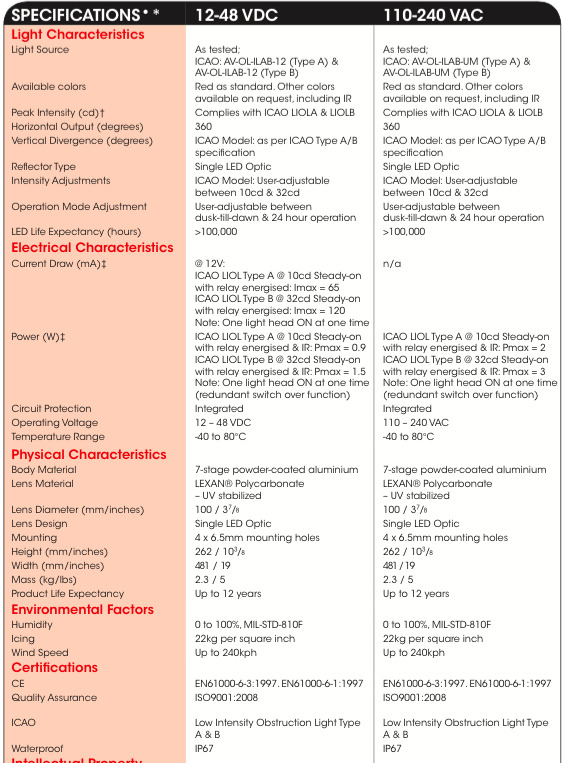 The dual light fixture can be configured to different operational states. Both light fixtures may be set to operate steady-burning. 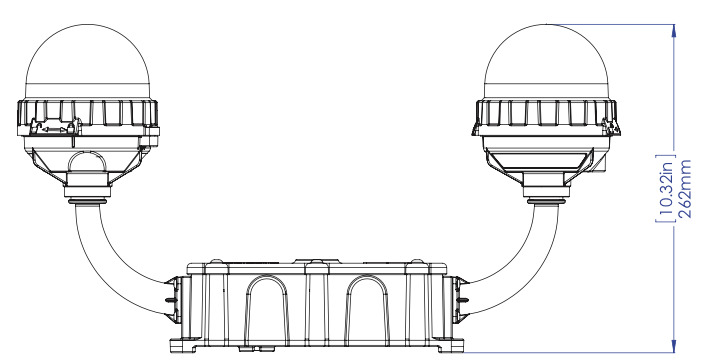 Alternatively, the dual light fixture may consist of a main light and a standby light. If the main light should ever fail the standby light will automatically switch on to ensure the obstacle is always clearly marked. The advanced light optic uses a single LED for minimal power consumption.The corrosion resistant, polycarbonate lens is specifically designed for use with LEDs to maximize light intensity and uniformity. 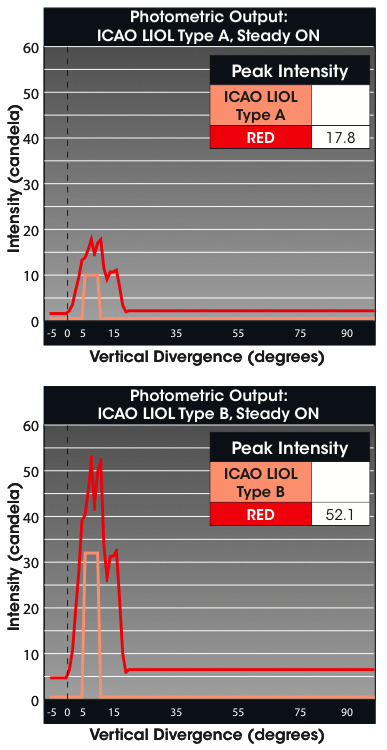 Integrated sensors in the light are able to detect when the ambient light threshold drops sufficiently and the light will begin operation automatically. The light fixture incorporates internal diagnostic checking and an alarm contact for remote monitoring.Typically the alarm relay is energized in normal operation and is released if there is an LED or power fault. 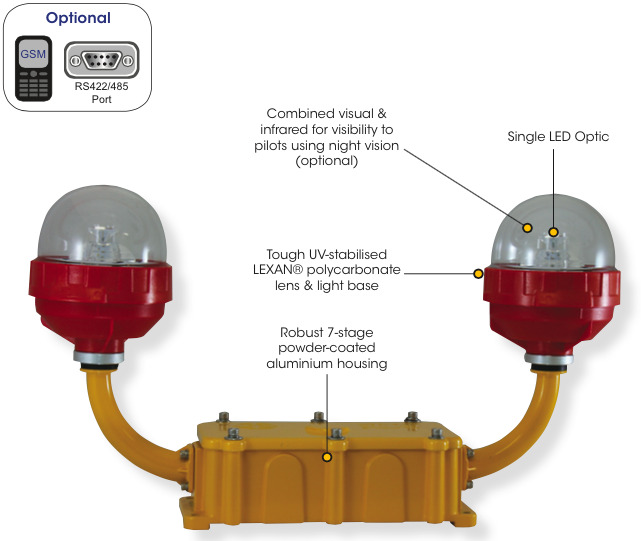 All obstruction lights also have an adjustable operation mode setting to allow the user to easily toggle between dusk-till-dawn and 24 hour operation modes. 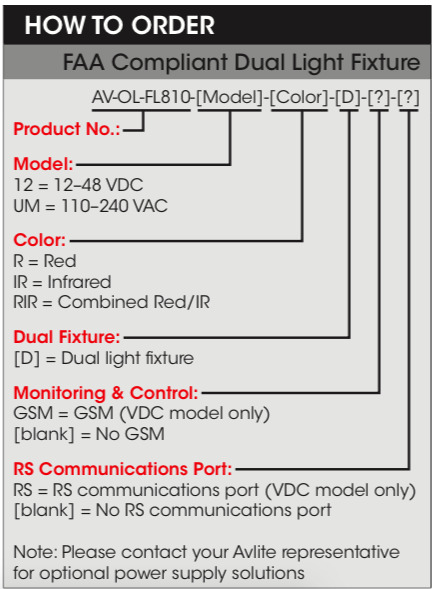 The Dual obstruction light (VDC model) is available with GSM Cell-Phone Monitoring, enabling operators to remotely monitor the status of their installation. The system can also be configured to send out SMS text messages or e-mail alerts to designated operators should alarm conditions be triggered, such as low voltage or light failure.